Virtual Reality Ireland: The Irish experts tell us about their first time. We interviewed experts from across Ireland’s VR & AR industry and asked them about their first experience with technology and what it was that got them hooked. “The first time I tried Virtual Reality was at a conference in the US. I was in a VR game battling zombies who were coming at me from all directions. The experience certainly made my heart beat rise and my head tell me this was the technology of the future”. 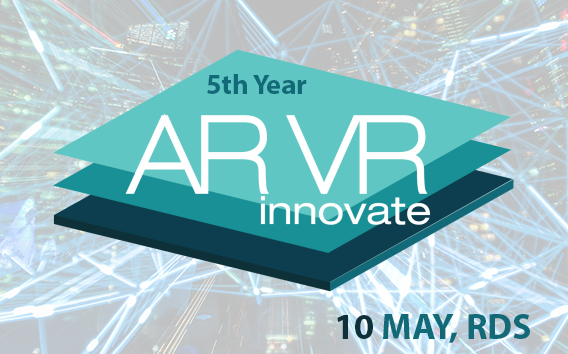 One of the leading minds on Virtual Reality Ireland, Alex Gibson runs the annual ARVR Innovate Conference in Dublin. 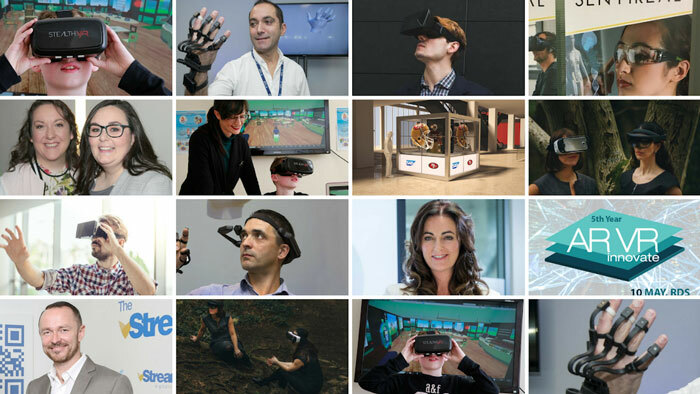 One of the longest established conferences on Virtual Reality in Europe. Gibson recently called for the Irish Government to undertake detailed research into the AR & VR industries in Ireland so it is prepared for future potential investment. 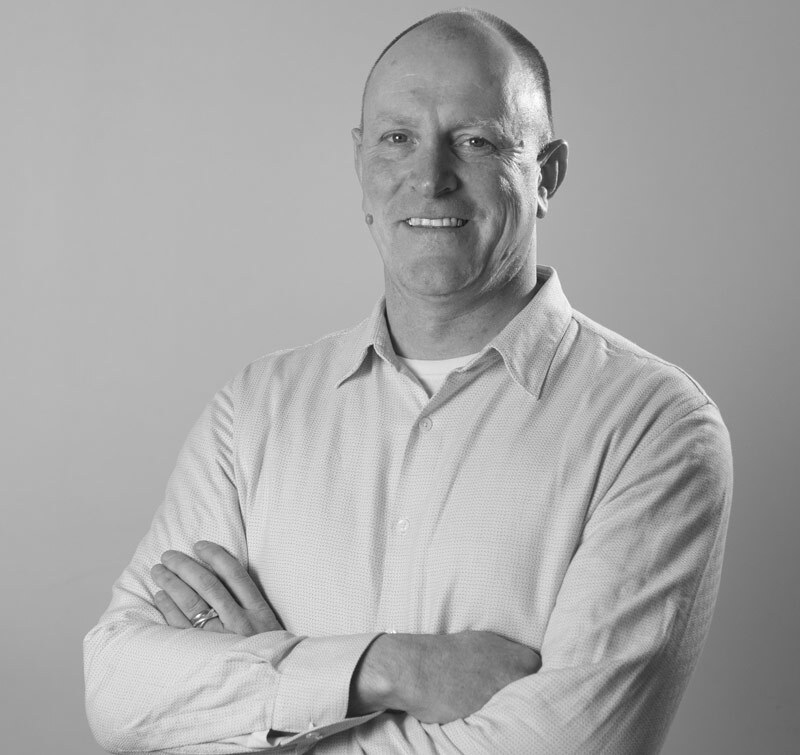 When it comes to Virtual Reality Ireland, James Corbett is one of Ireland’s leading experts. The first time James came across the term ‘VR’ was on reading a book called “Disclosure” by Michael Crichton in 1994. “I read a review in a computer magazine that focused entirely on the book’s major plot device called ‘Virtual Reality’ and that was my first time coming across that term, which they compared to the Holodeck on Star Trek. The book would later be made into a blockbuster film with Michael Douglas, Demi Moore and Donald Sutherland and it’s incredible how accurately they depicted the hardware side of VR. It was really quite prescient”. James and his friend Gabriela Avram founded an annual conference in University of Limerick in 2008 called 3DCamp with a focus on “the internet beyond the 2D browser”. 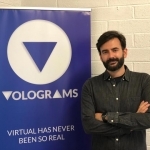 His company, Simvirtua, is a VR & AR Software Development studio and consultancy working across a broad spectrum of sectors from ehalthcare to training. 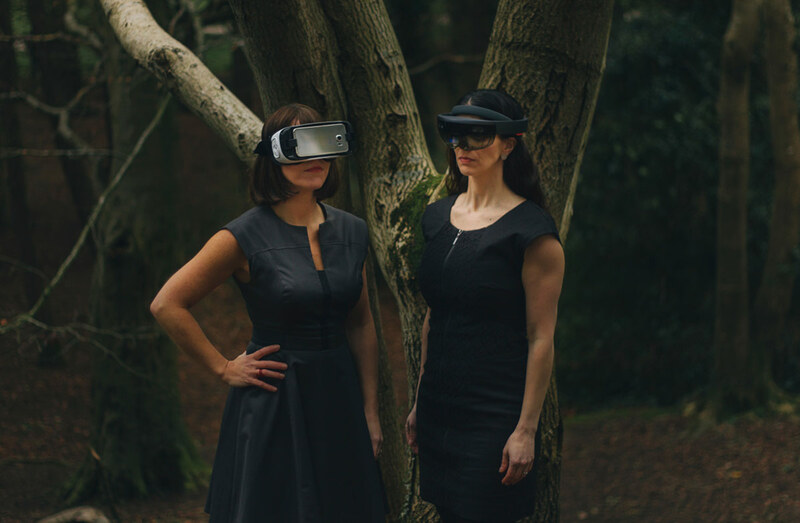 A name that is sysnonymous with VR in Ireland, Camille Donegan was first introduced to Virtual Reality at the Digital Biscuit conference in Dublin. It was a first person perspective experience where you could choose what character you wanted to be within a family dinner setting. Camille’s background was in theatre, so naturally what excited her most was the ability to embody another character and step into someone else’s shoes. “They call VR the empathy making machine”, she told us, “I ran out of there so excited and since then I haven’t really stopped running”. For Marina, her first experience of Virtual Reality was quite recent. In 2015 she was awarded the Marie Curie Award. The grant allowed her to move to London where she began her research in the prestigious London School of Economics. “I devised an innovative research method based on high-tech cameras that would record what the user was doing”, she told us, “using this technology I could track the activities of young people in their everyday life, in terms of how they were using digital media”. 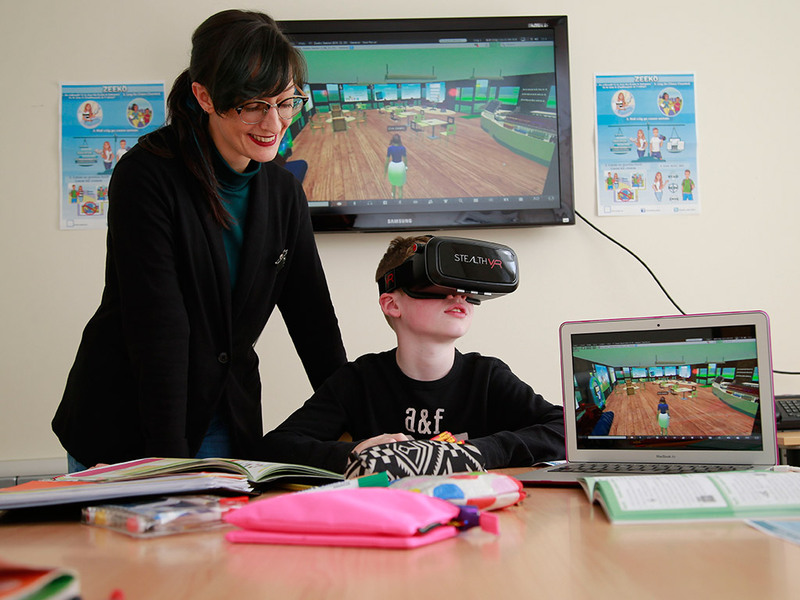 Dr. Everri is now undertaking a research project with Irish education company, Zeeko, to study the potential long term effects of Virtual Reality on young people. “I’ve been experimenting a lot with VR”, she explained, “I feel before I start any research project I need to gather as much data as possible”. For “Cork Boy” Brendan, his first experience of VR involved having a go at landing the Apollo 11 Spacecraft in Waterford 3 years ago. While he loved the experience and immediately saw the potential, he did find it rather frustrating. “The Apollo mission started crashing”, Brendan told us, “there were lights flashing, buttons and levers, that obviously needed to be pressed or pulled but I wasn’t able to interact with them”. Brendan has recently developed a ‘Smart Glove’ device. 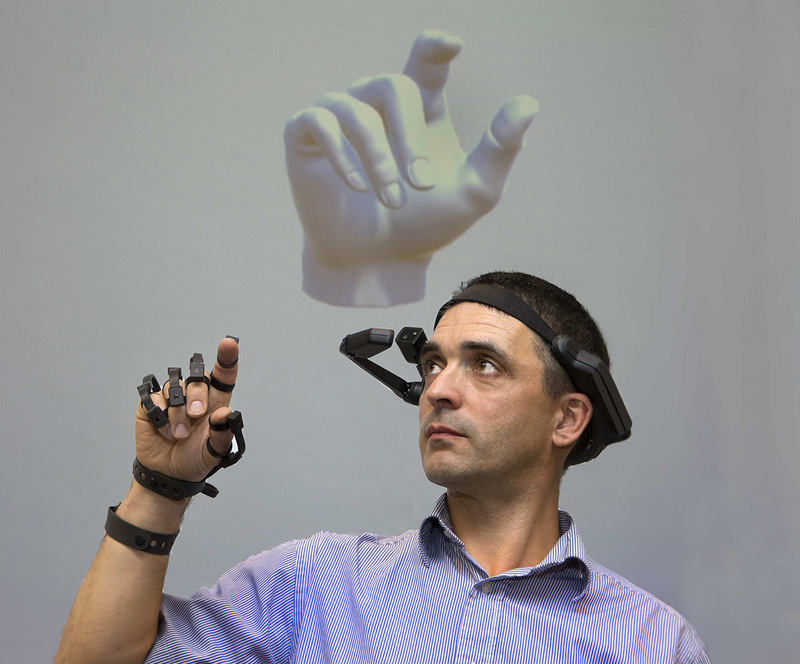 The haptic technology transports the users hand accurately into the Virtual Reality world. The device is almost ready to go to market- so hopefully future users will have the ability to push and pull those levers. 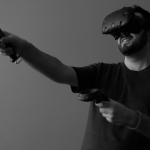 For David Trainor, his first experience of Virtual Reality was trying a roller coaster demo on the first Oculus Rift development kit in early 2014. 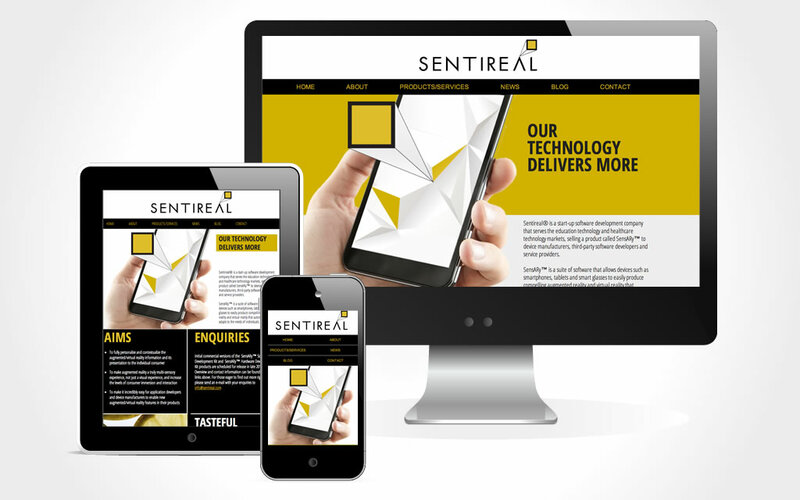 David is the director of Sentireal. His Belfast based company creates VR applications to improve medical and healthcare training and guidance. “I remember being quietly impressed rather than bowled over by my first VR experience”, David told us, “but it definitely sparked some ideas in my mind about where immersive technology might be applied”. Recently, David has been working with Specialisterne to provide Virtual Reality training for employers to help them better understand the perspective of those living with autism in the workplace. 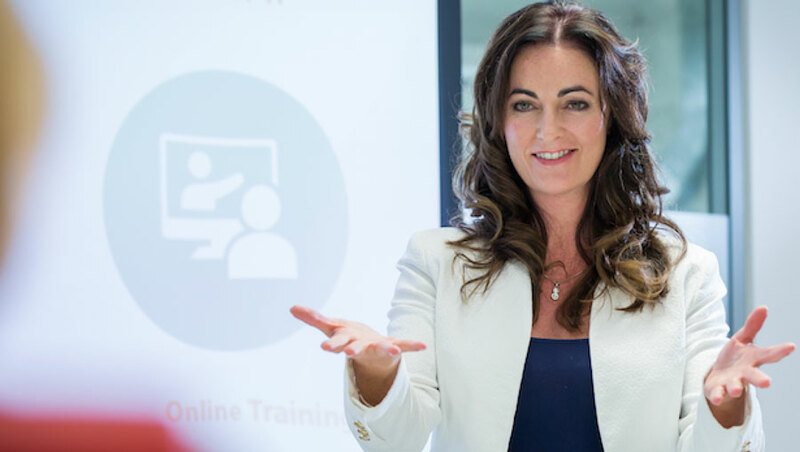 When it comes to innovation in the world of corporate training in Ireland, Celine Mullins has been a driving force. Her first experience of Virtual Reality was from the first person perspective of someone living with autism. “The one in the shopping centre that was made in the UK”, she told us, “your mom has brought you to the shopping centre. The lights are really bright and overwhelming.. everything seems really confusing”. Celine’s company Adaptas provide training to managers and business teams to improve their performance in the workplace. “Immediately, I saw the huge potential in Virtual Reality in terms of training”, she remarked, “what the research is showing is that we are creating false memories for people.. so that they can better manage stressful situations in real life”. Andrew’s passion for VR & AR -in particular its application in terms of marketing- is second to none. 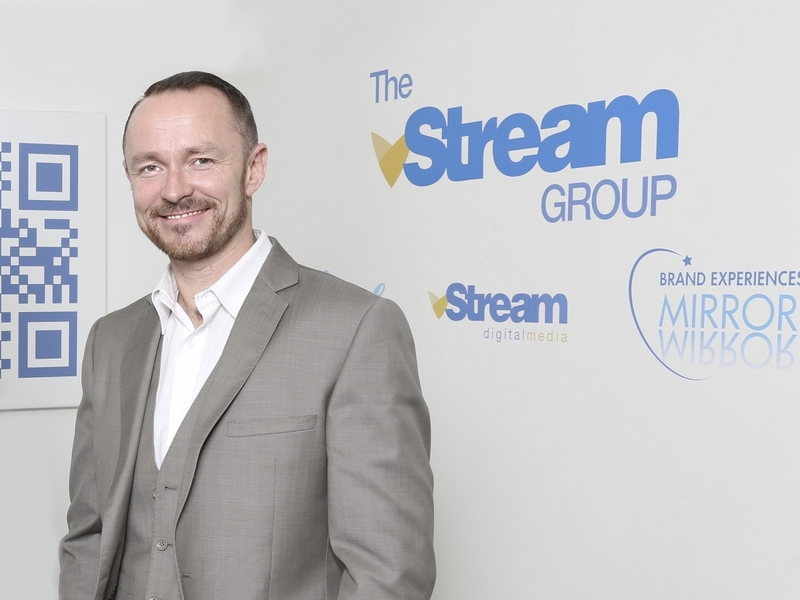 His company, vStream, are the first port of call for experiential VR/AR marketing strategies for leading brands, not only in Ireland, but across the globe. While Andrew’s first experience of Virtual Reality was during his college work experience in 1998, things didn’t begin to heat up for him until a trip to Japan with his business partner Niall in the late naughties. “We took a trip to Japan and we really wanted to go over and look at two specific technologies: QR and AR. Quick Response and Augmented Reality. We knew that Japan was really light years ahead with this technology so we went over and met a lot of key players”, he told us. Of course Andrew’s clients back in Ireland needed some convincing: “What do you mean you hold up a phone and a webcam and something appears out of nowhere? !”, they would say and “What do you mean you can scan this code and it brings you to a website?!”. 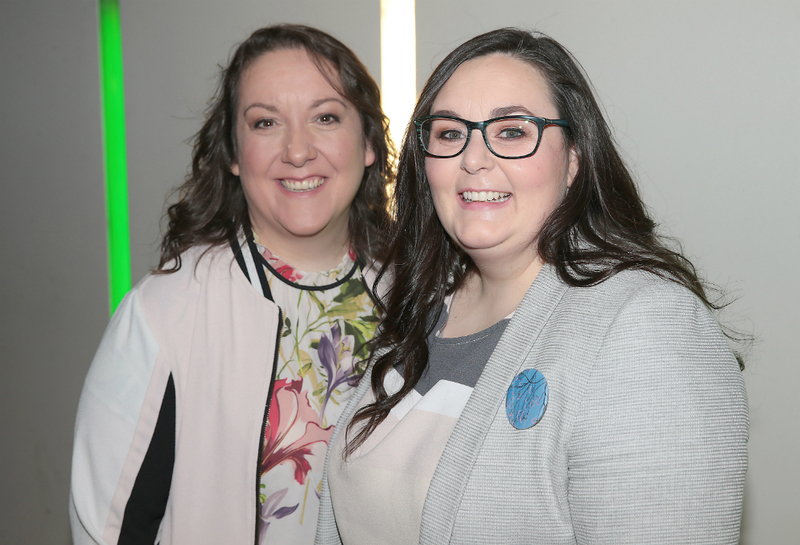 With incredible pace Pink Kong Studios, the brainchild of Niamh Herrity and Aoife Doyle have joined the ranks of Ireland’s top animation studios. Their office on Dublin’s Sheriff Street holds the prestige of being the origins of Ireland’s first Virtual Reality Film. “It was at a conference a couple of years ago”, Niamh explained, “it was a ‘Neuro’ experience where you were inside a working human brain”. For Aoife, it was the Google Tilt Brush that opened up the possibilities of what could be done. “That’s the moment where I was like okay, this is cool! For artists it’s a really solid tool to be able to use and just kind of explore different possibilities”, she explained. Darya was first introduced to VR & AR through the entertainment industry and immediately saw its potential for disrupting the education sector. 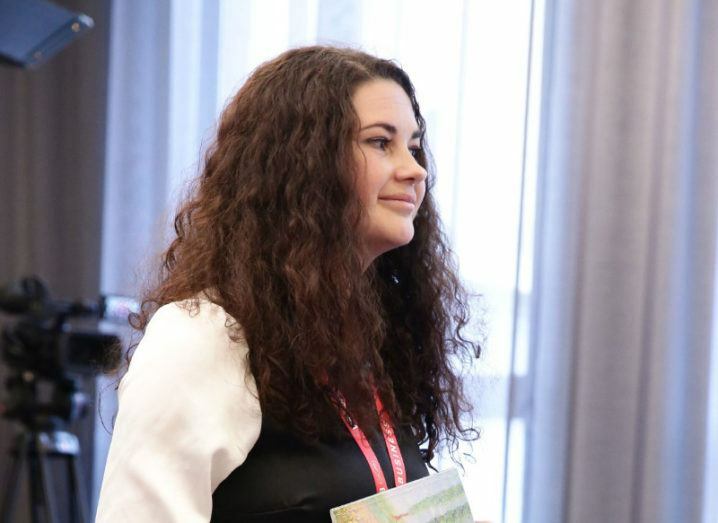 The Ukraine national set up her business CleverBooks in Ireland in 2015 and is on a mission to make augmented reality a tool that is utilized in schools across the globe. For our own co-founder Goeff Allen, his first experience of Virtual Reality was sometime in the late 90’s at the ACM (Association for Computing Machinery) conference in Los Angeles. With what he describes as looking like a “deep sea diver’s helmet” placed on his head, Geoff was shown a “16-bit graphic of goldfish swimming around a black space”. “Although extremely primitive, it was a wow moment for me”, Geoff explained. 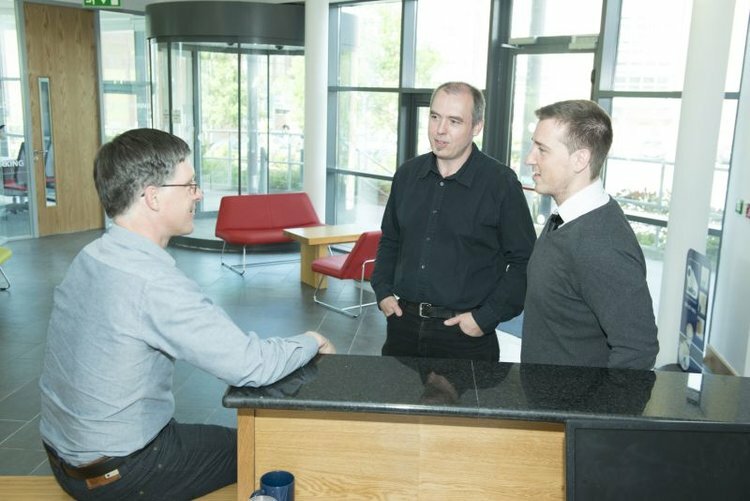 Geoff and our co-founder Dermot Condron have been in business together since 2013. They are on a mission to position 3Ms as market leaders in the space of Virtual Reality Ireland. They have a particular expertise in the application for these emerging technologies in the areas of smart manufacturing, medical devices and diagnostics. At 3Ms we’re currently creating immersive content across the spectrum of digital communication platforms and applications. Mersus Technologies are Ireland's leading content creators for Virtual Reality, Video and Animation.